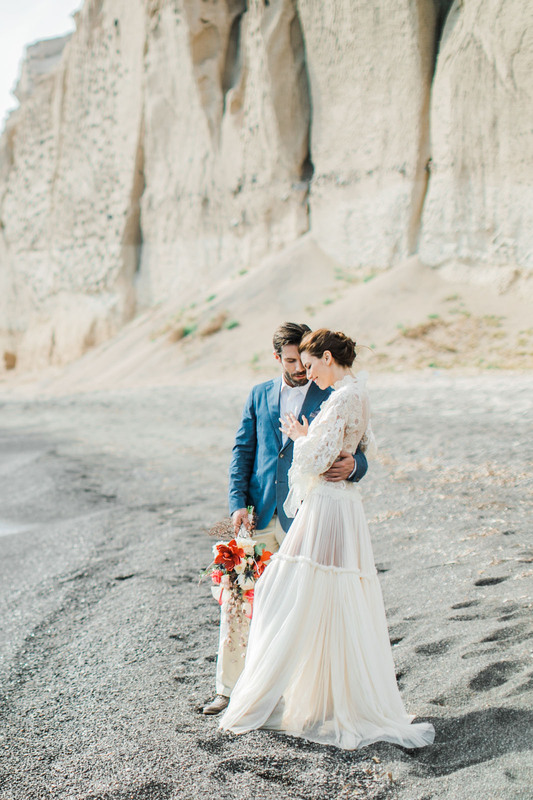 Two hearts meet like the land and the sea and together they carve their own scenery in life. 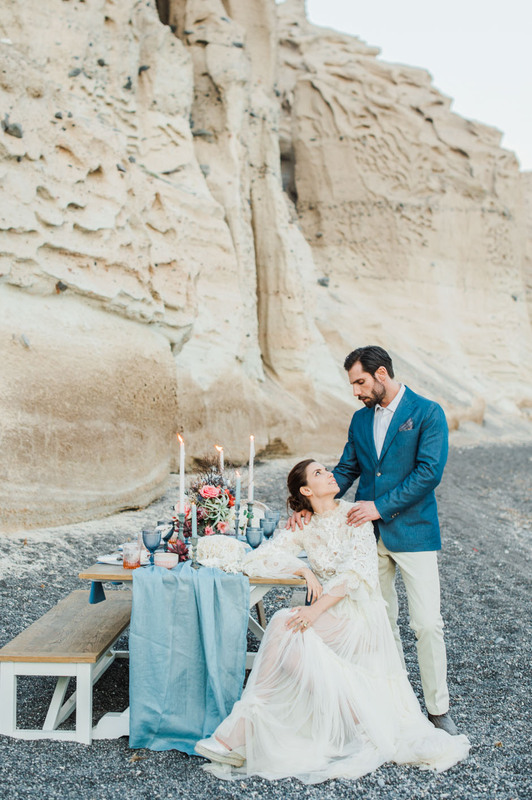 The dramatic cliffs of the Vlychaada beach appear like a sculptor’s hands has shaped them specifically for our wedding shoot. 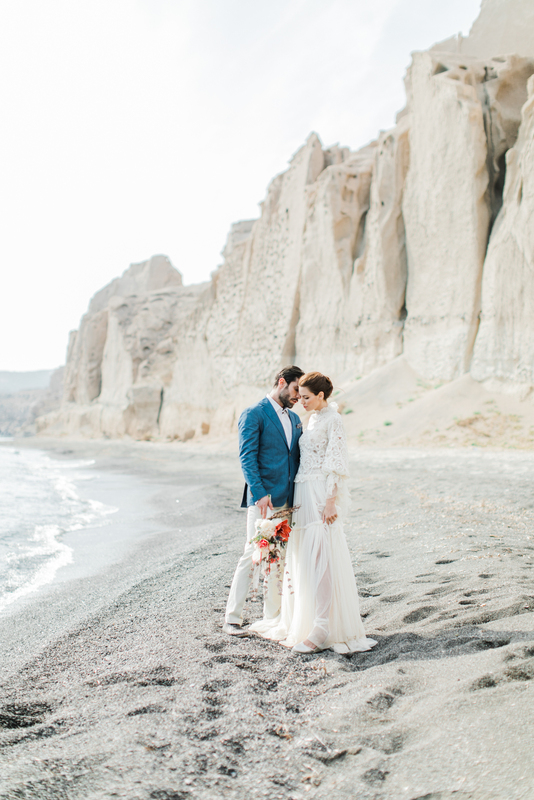 But this scene is as natural as love and just as explosive as love can be, as the beach here in Santorini and the cliffs behind it were formed by a volcanic explosion. 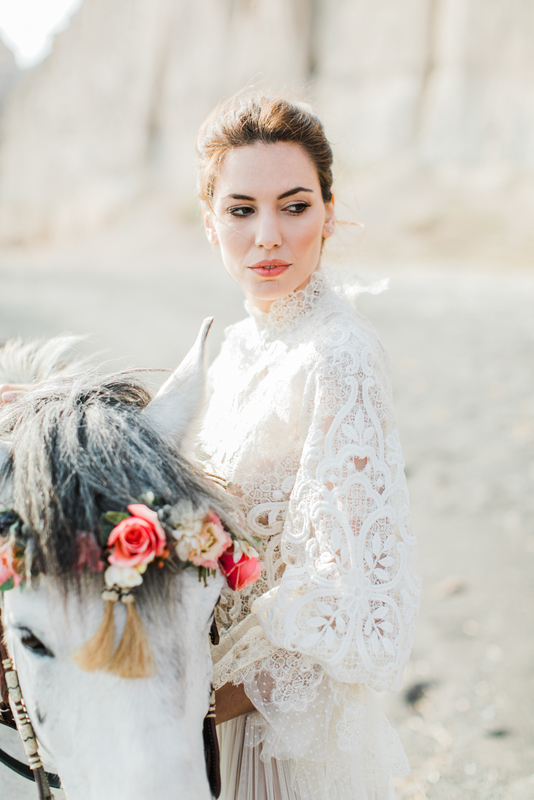 The romance of this story creates a backdrop for wedding photography like no other. 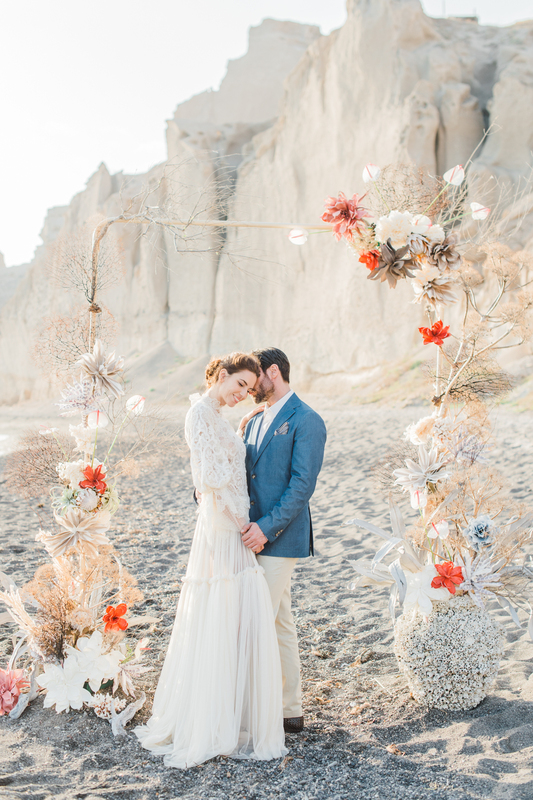 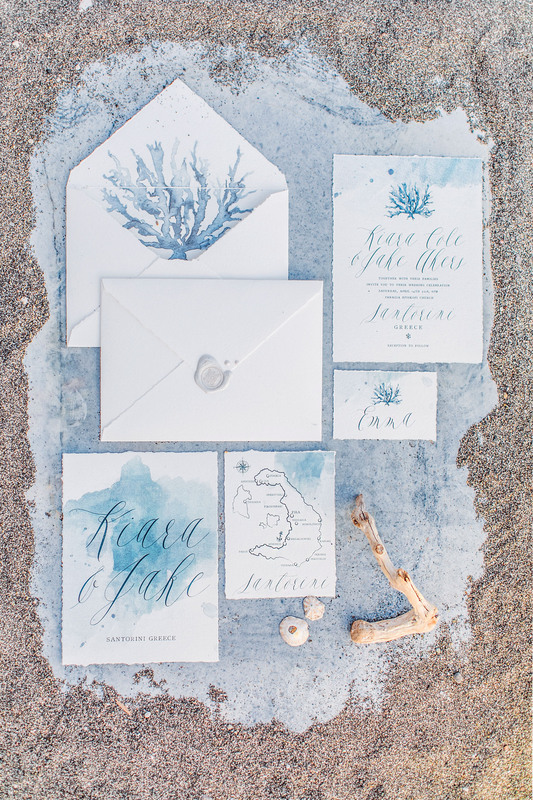 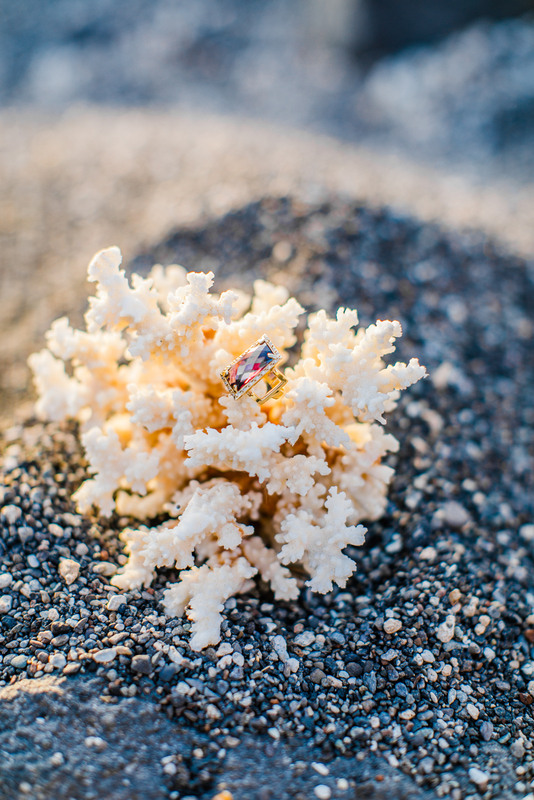 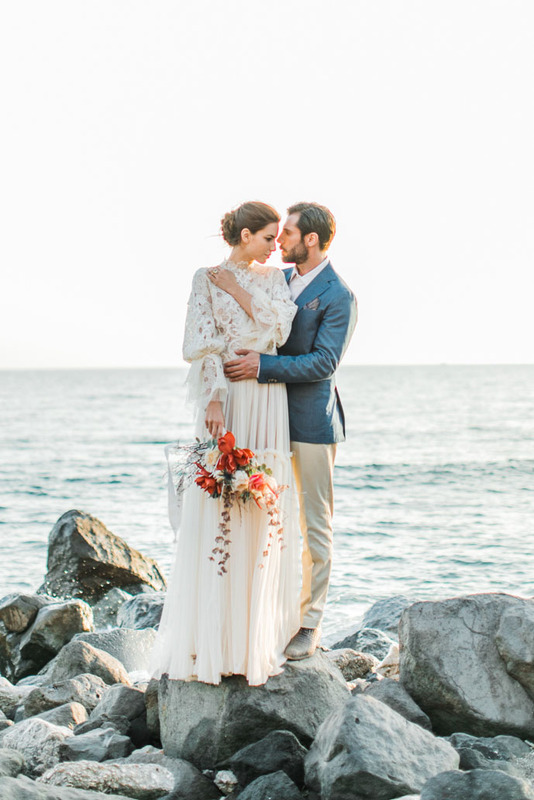 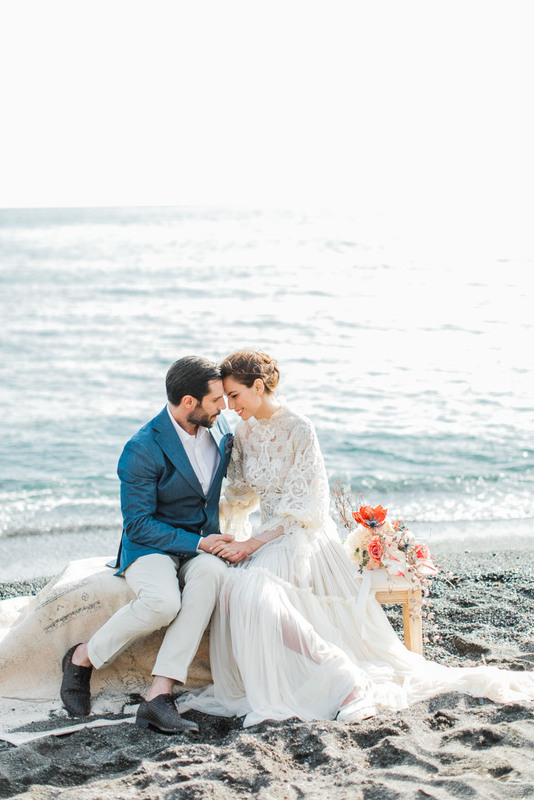 With the black volcanic sand beneath our feet and the courageous ocean permeating the air, nature itself seemed to feel the bond in this wedding. 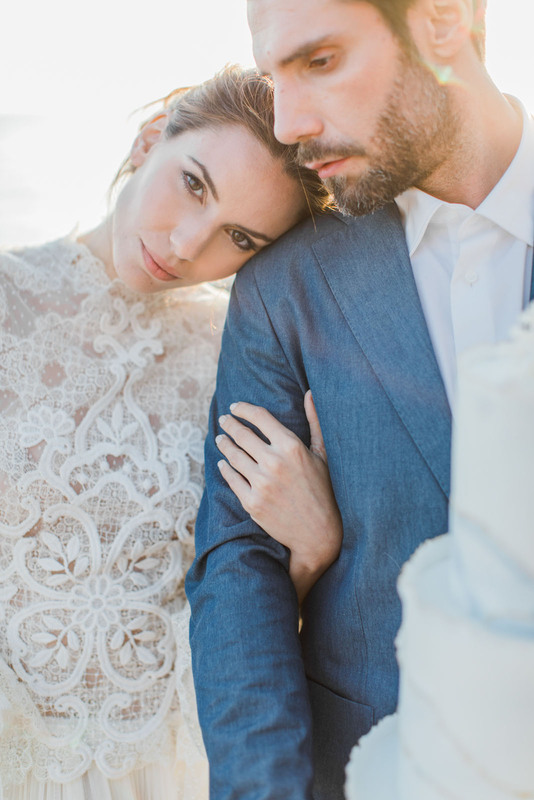 When we capture the tiny moments between a wedding couple, we stop time and we learn the language of their love. 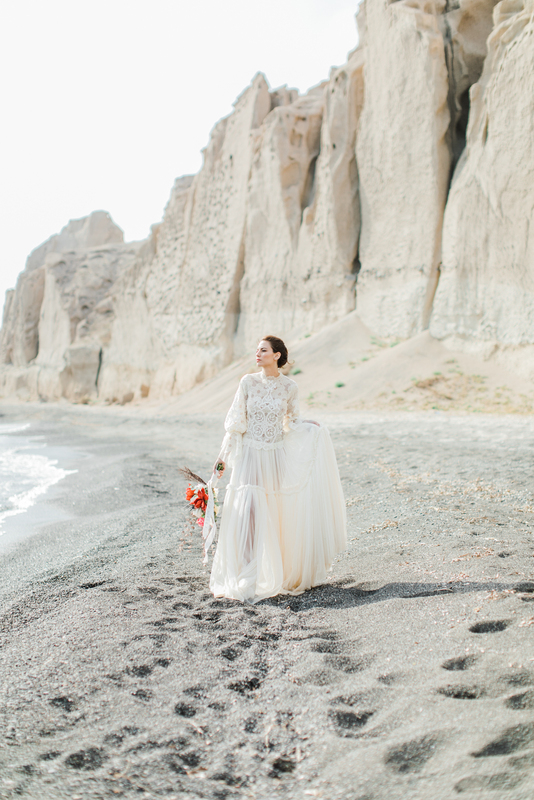 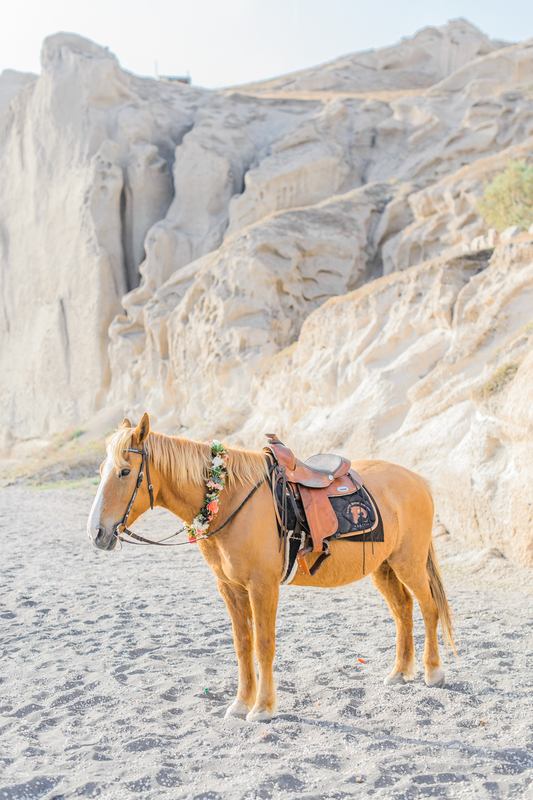 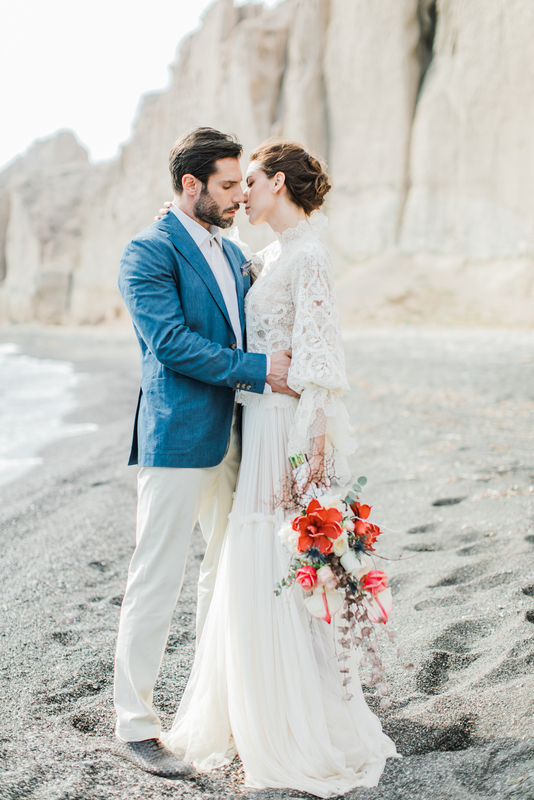 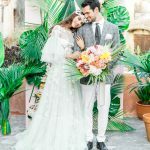 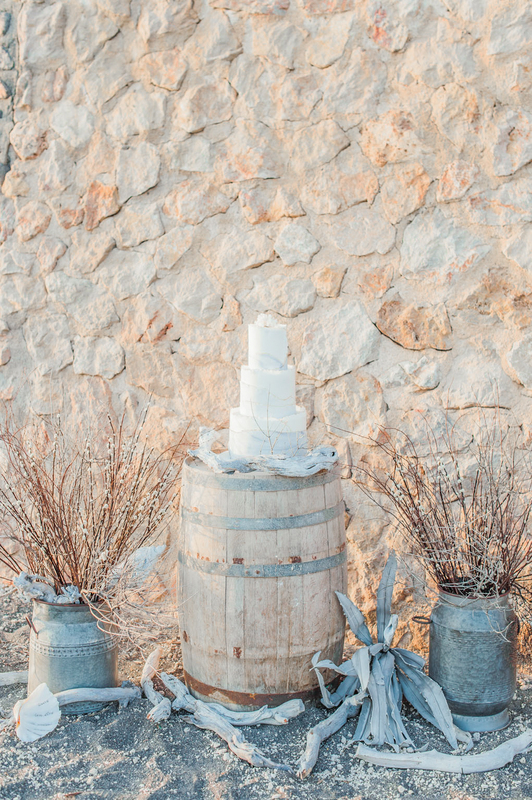 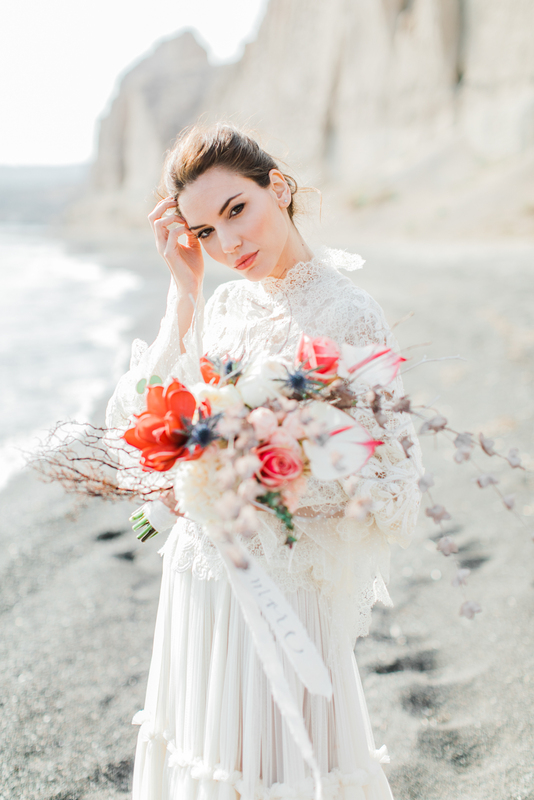 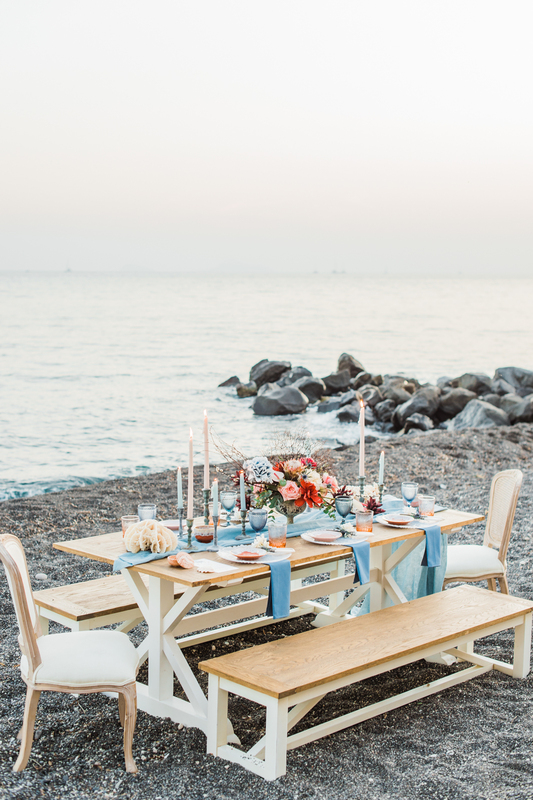 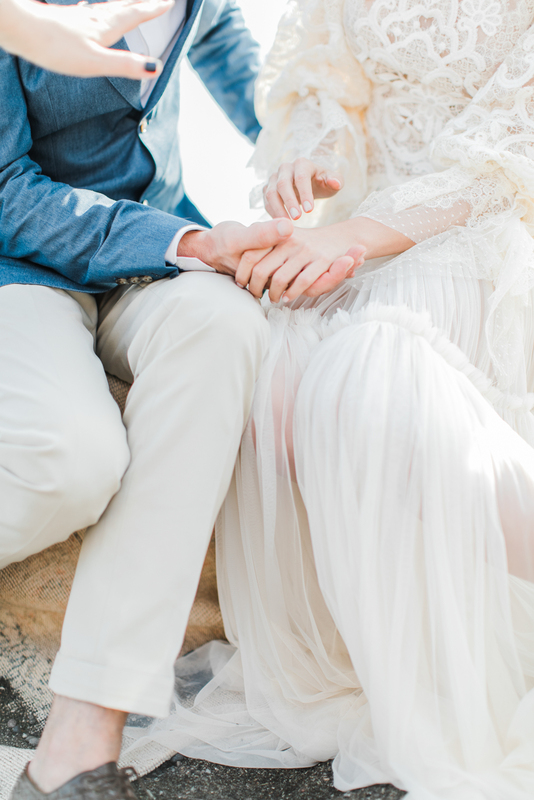 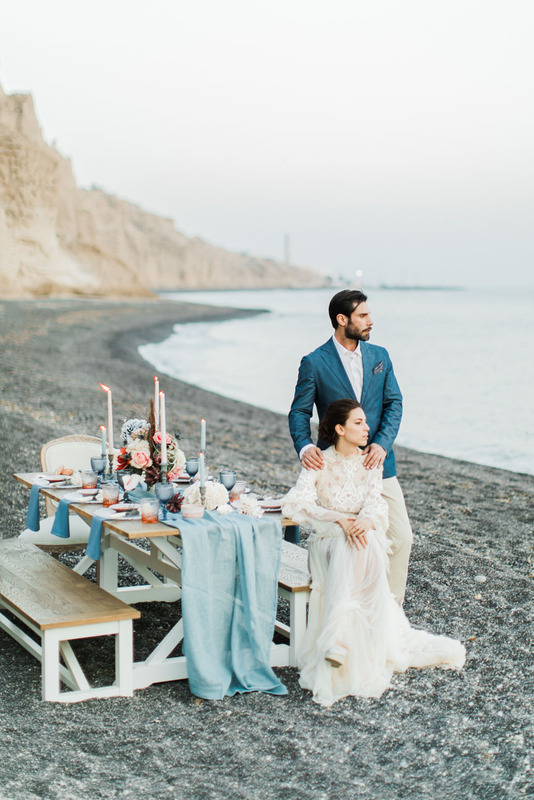 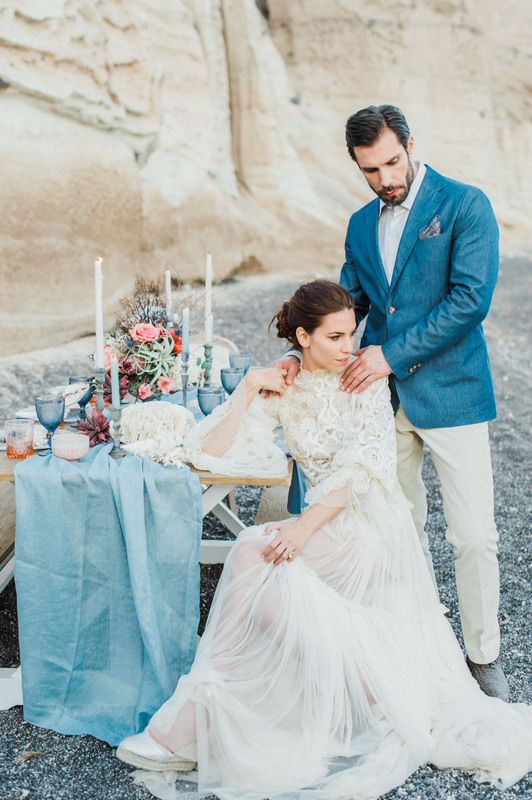 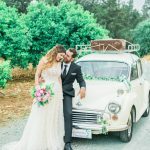 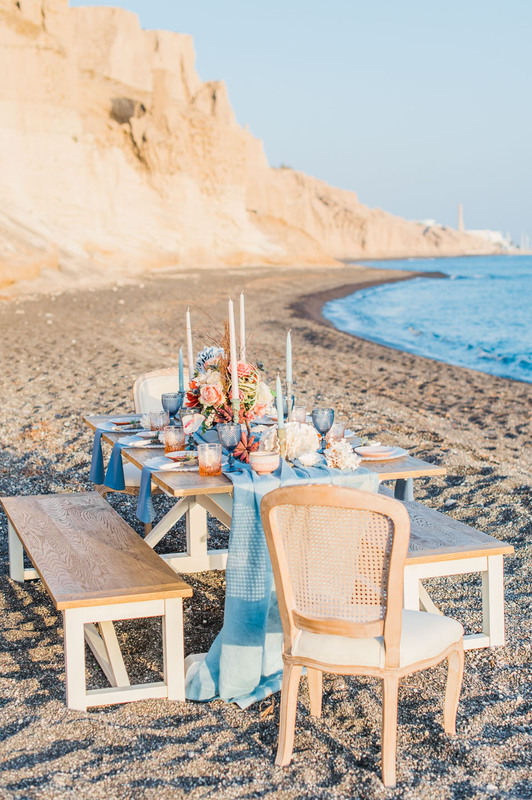 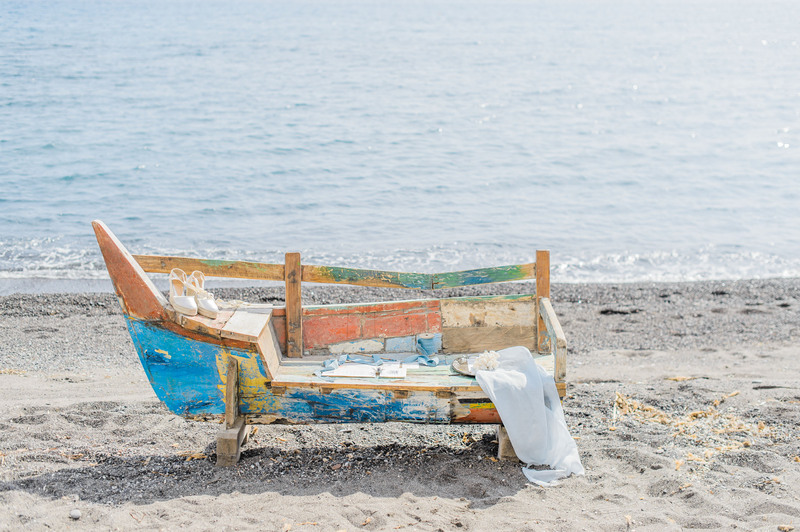 This shoot, near the picture perfect village of Tira in Santorini, was all about those small moments that we want to explore and hold onto, and was brought together beautifully by Anjie, from Only For You Events. 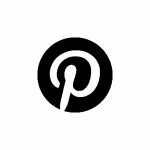 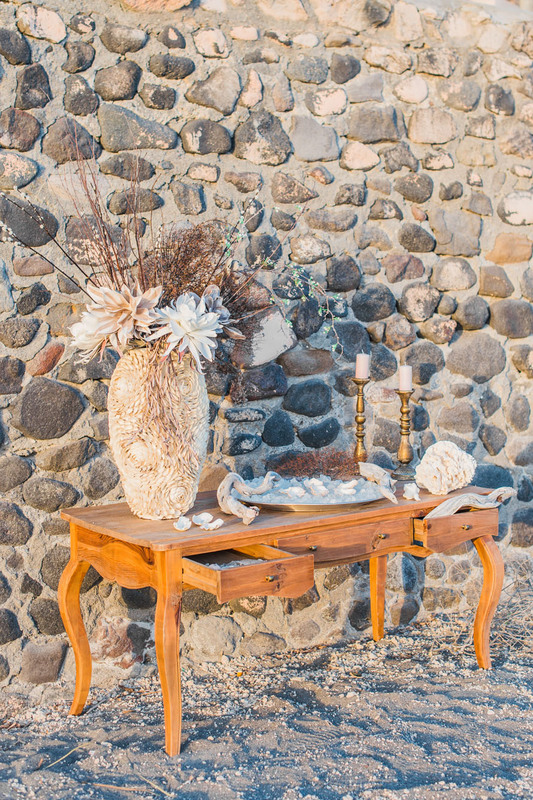 It’s the attention to detail and the soul that’s put into planning a wedding of this significance that really shows, and Anjie brought her spirit with optimum affect. 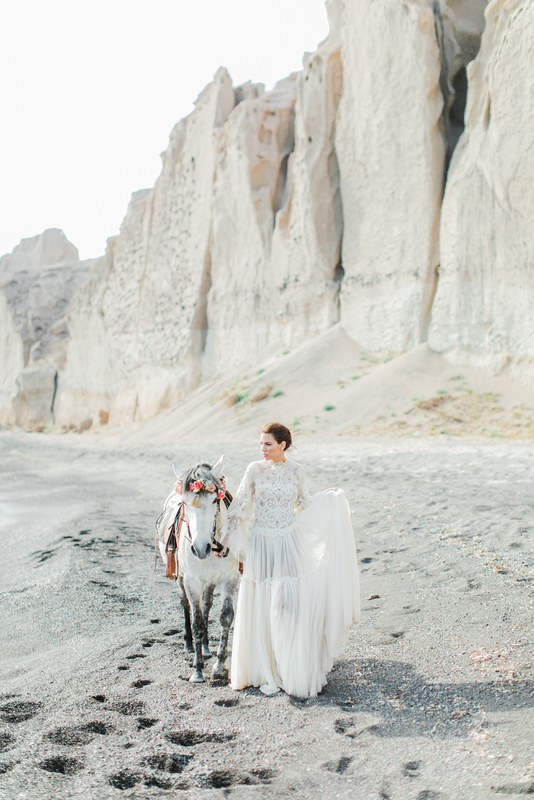 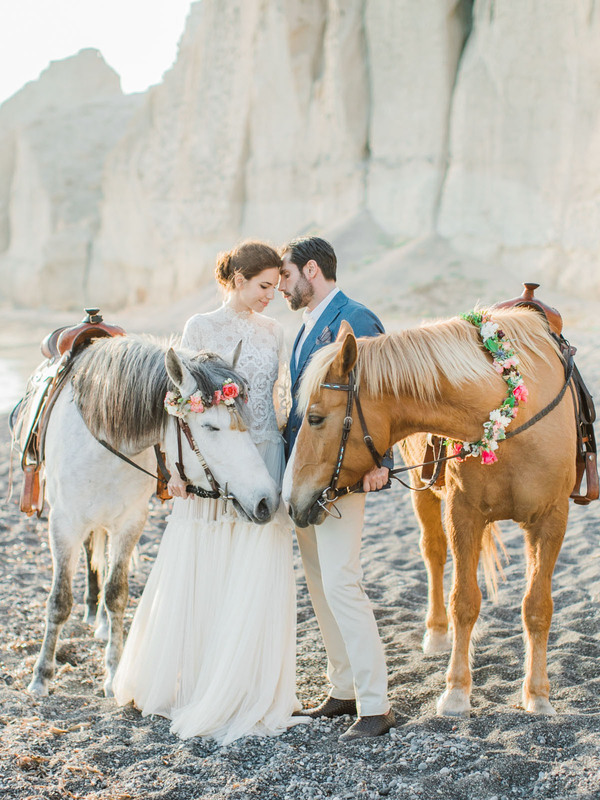 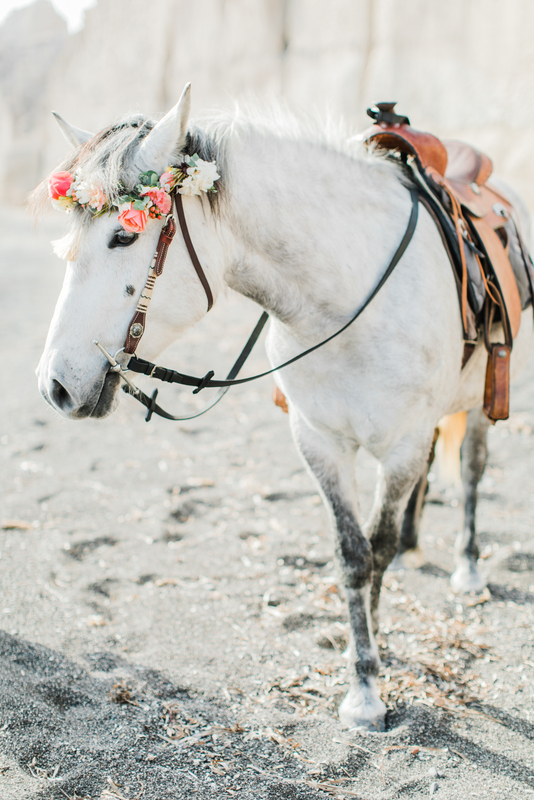 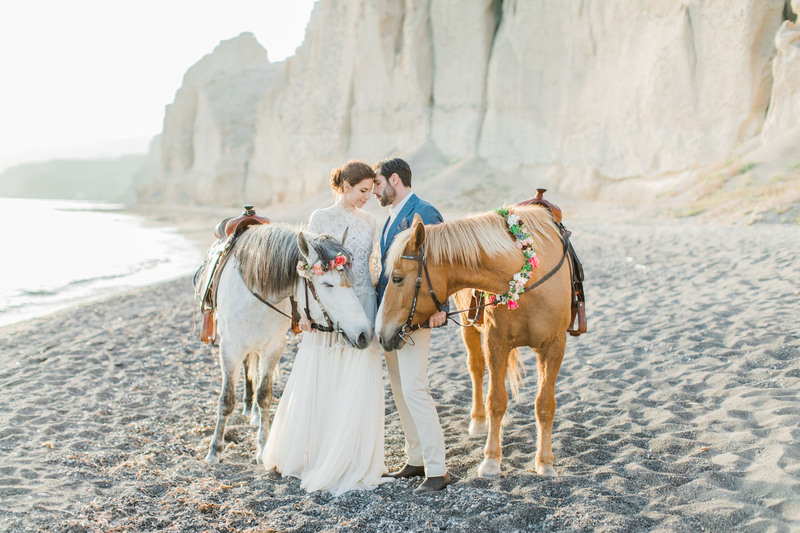 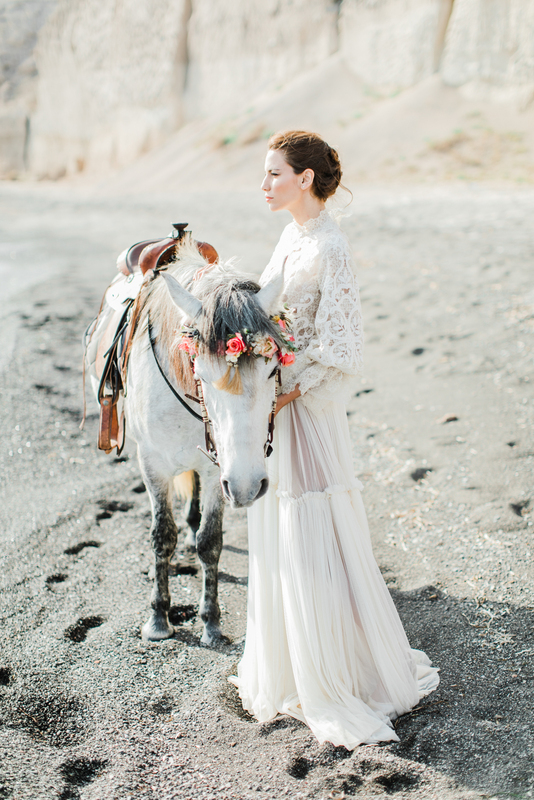 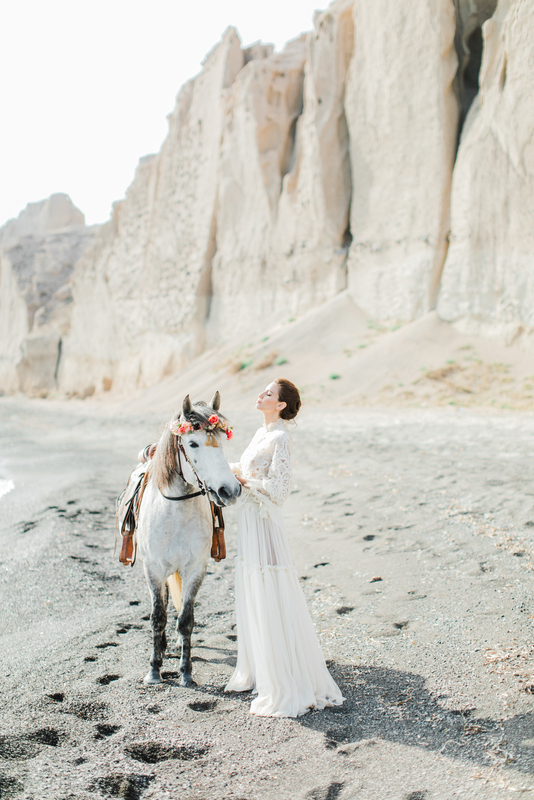 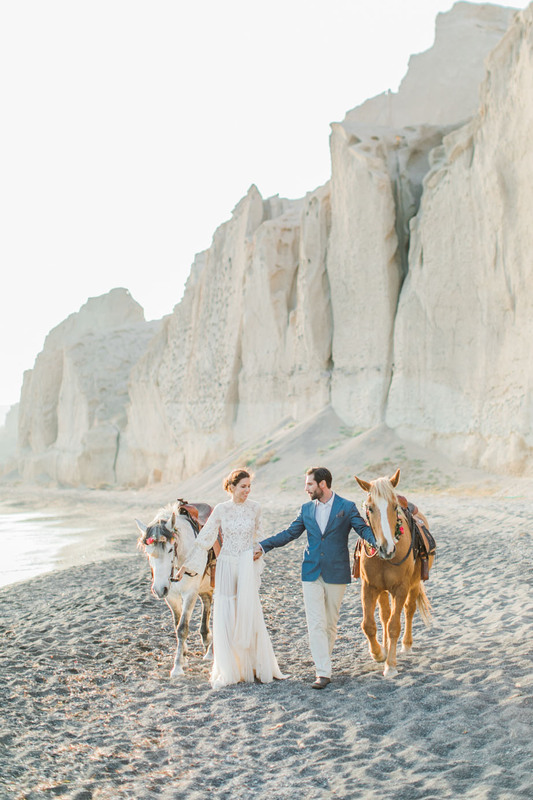 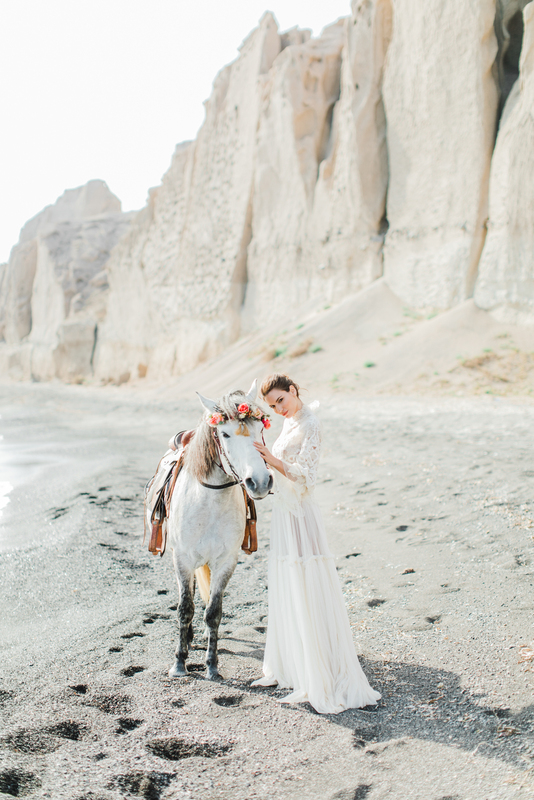 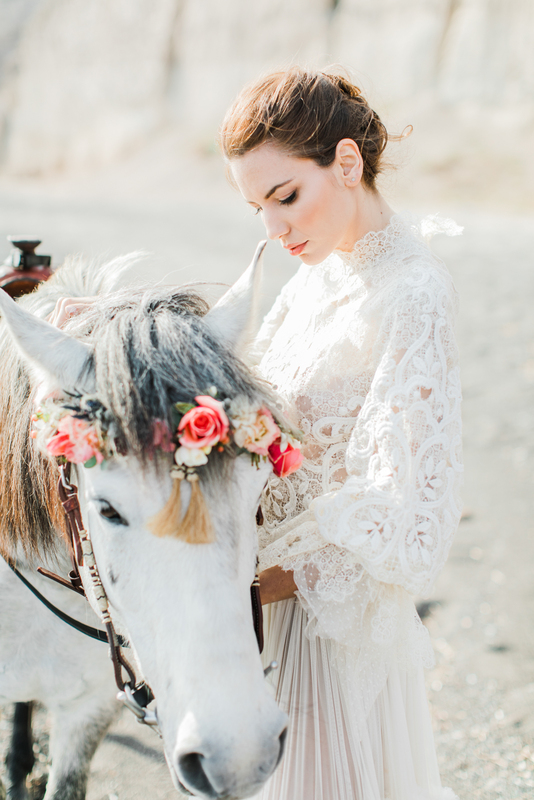 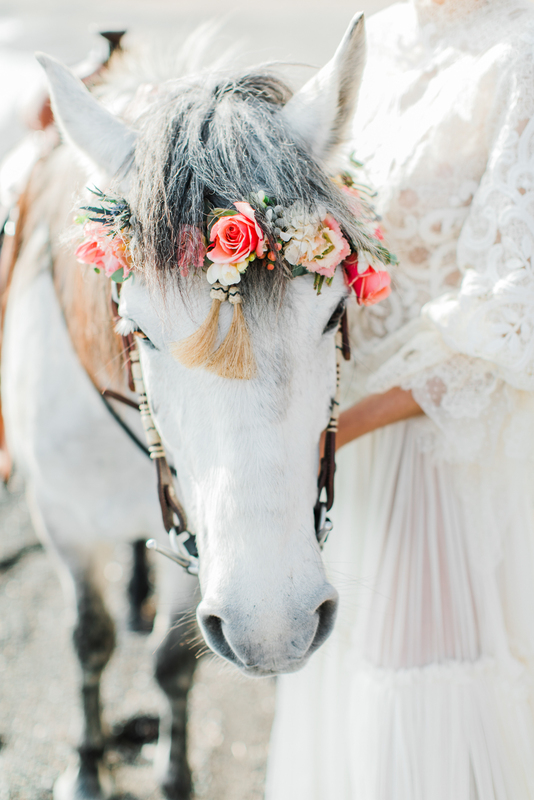 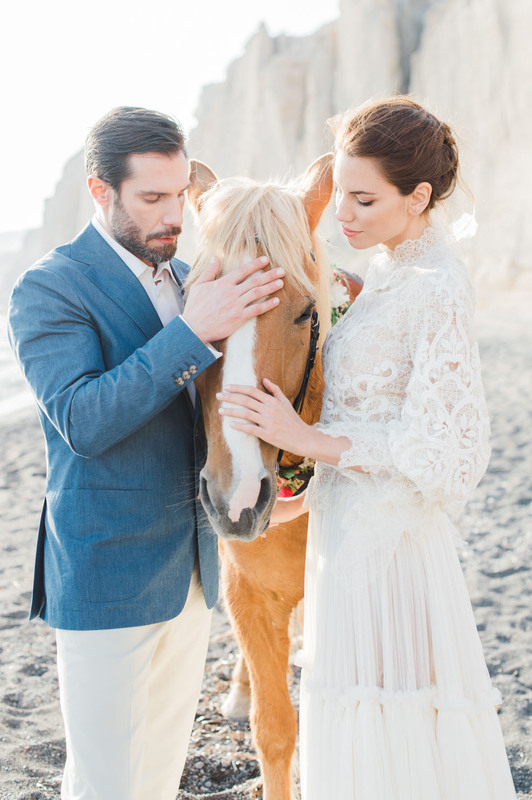 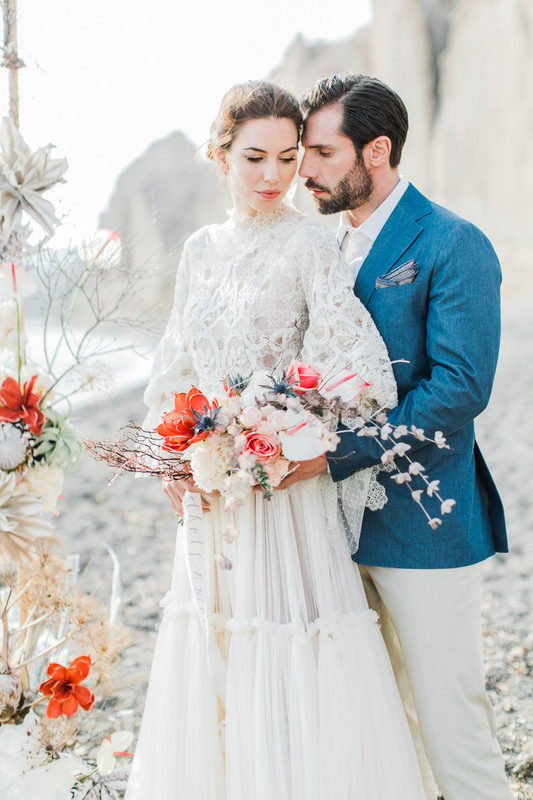 A bridal gown with gypsy influences, by Costerellos, flowed elegantly with the breeze from the sea, and the guest horses from Santorini Horse Riding whispered their own understanding of the deepness of this romance. 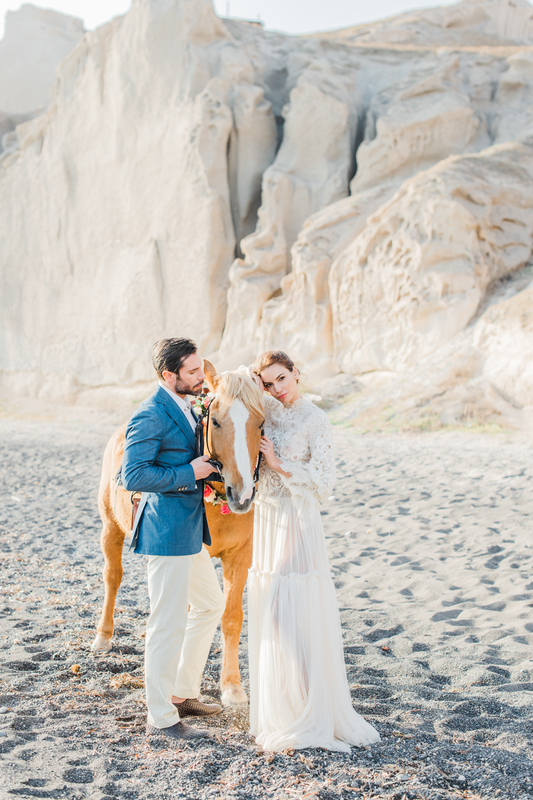 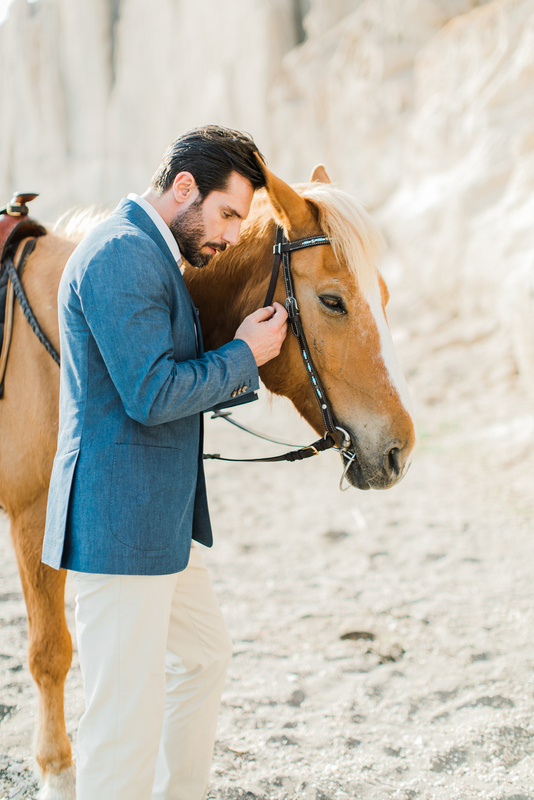 Together, the innocence and freedom of these beautiful animals and the captivating singularity of the bride made an intricate story within the romance of this wedding shoot. 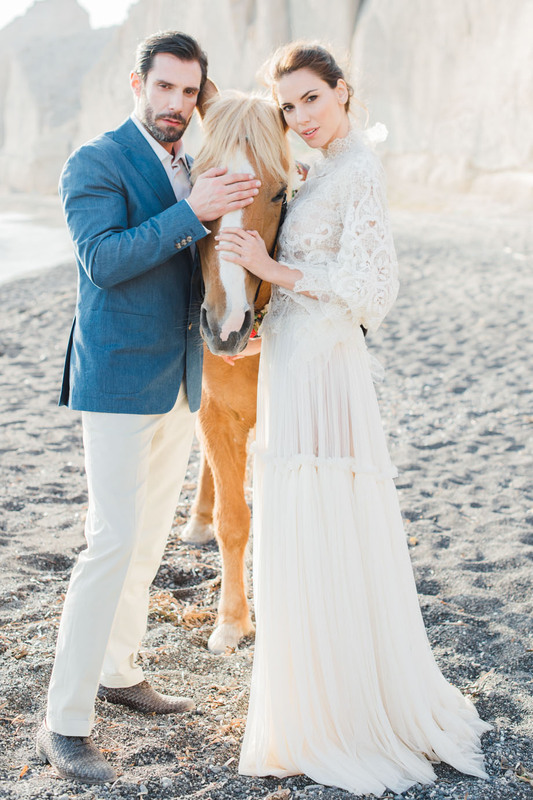 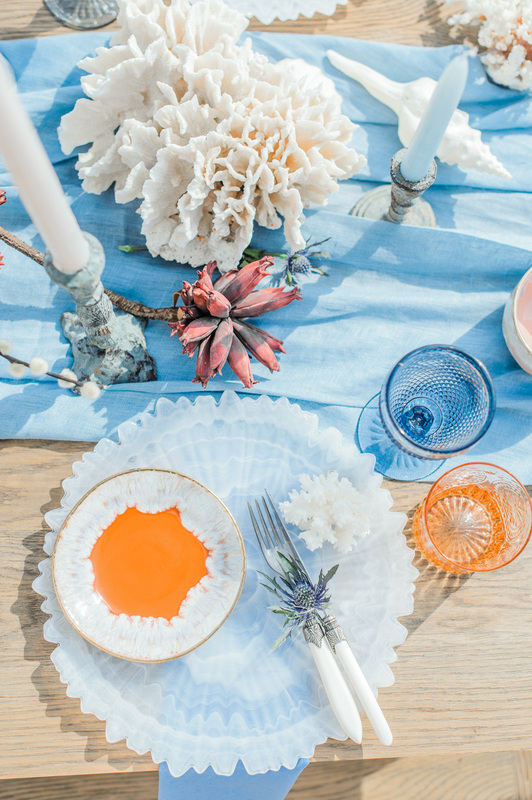 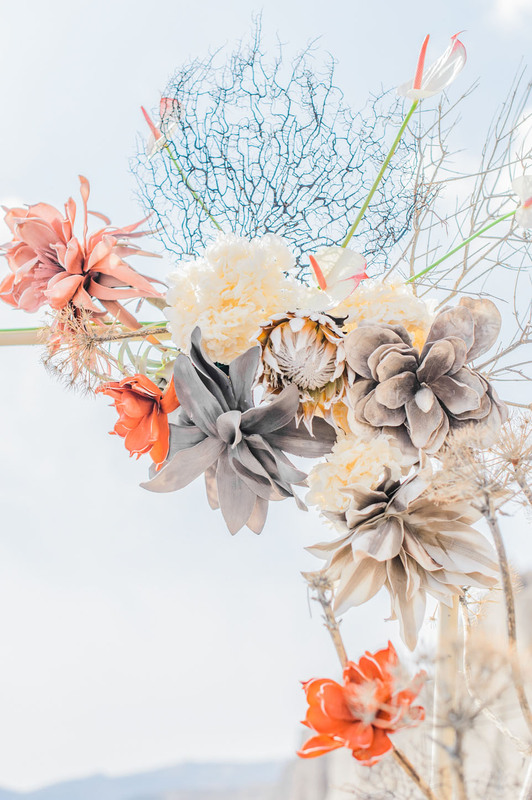 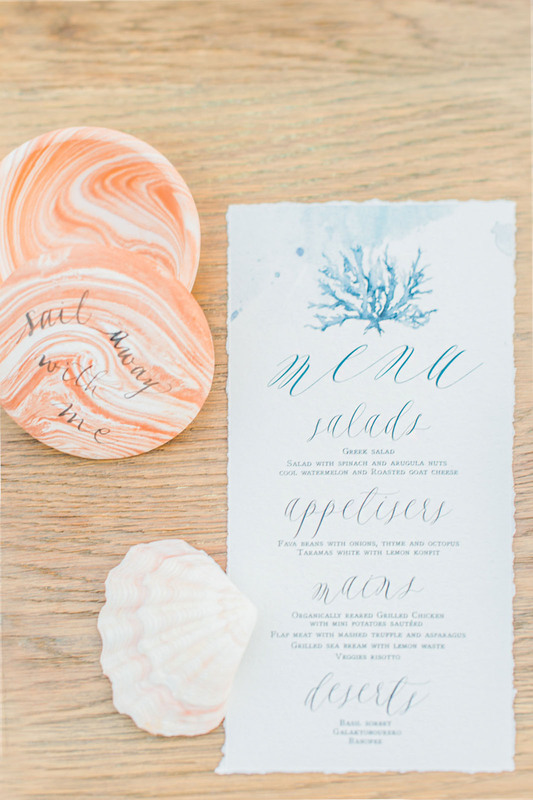 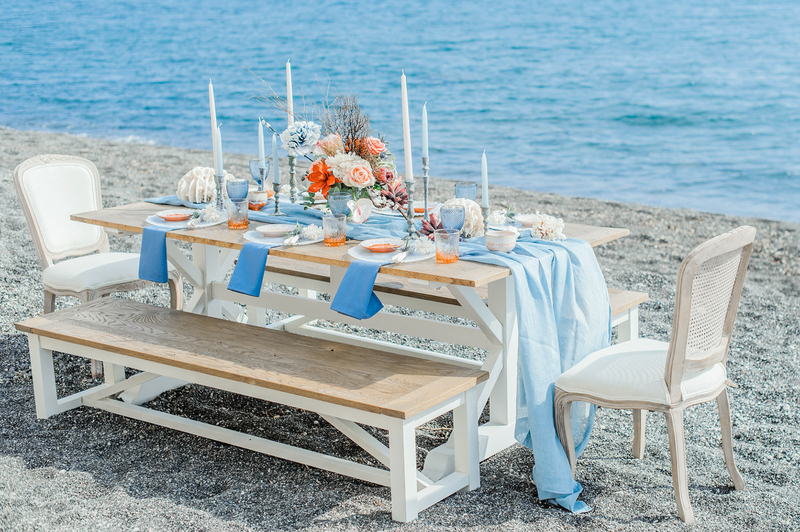 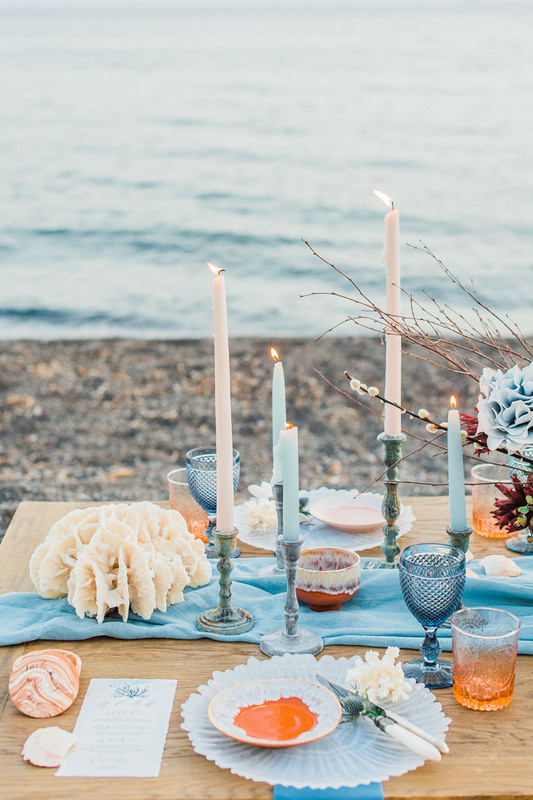 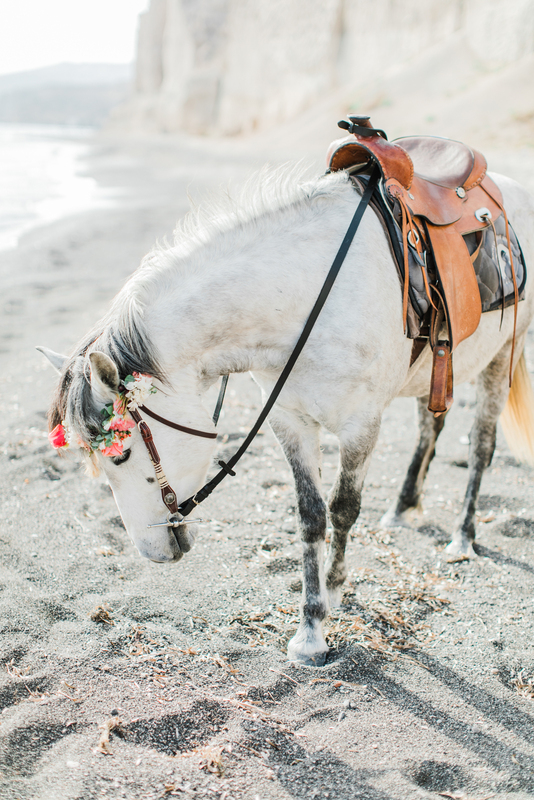 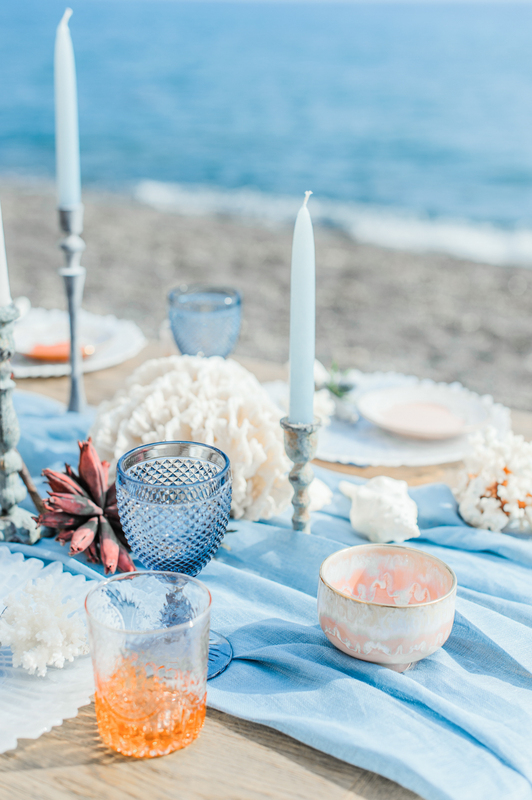 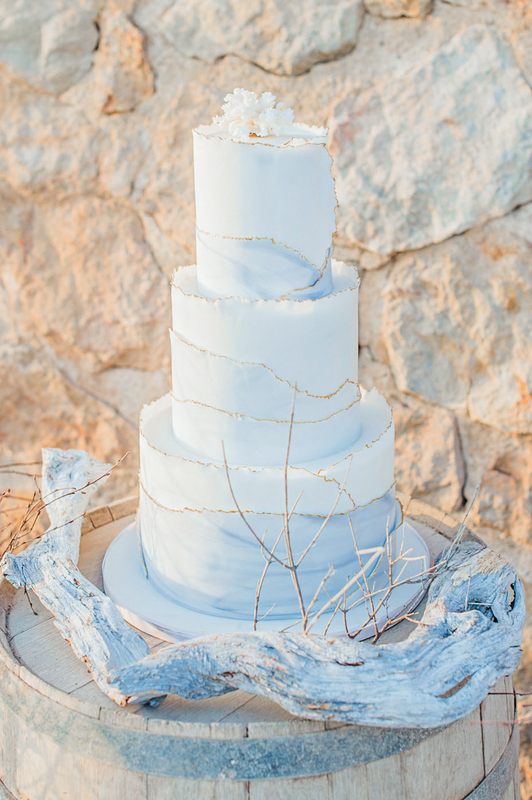 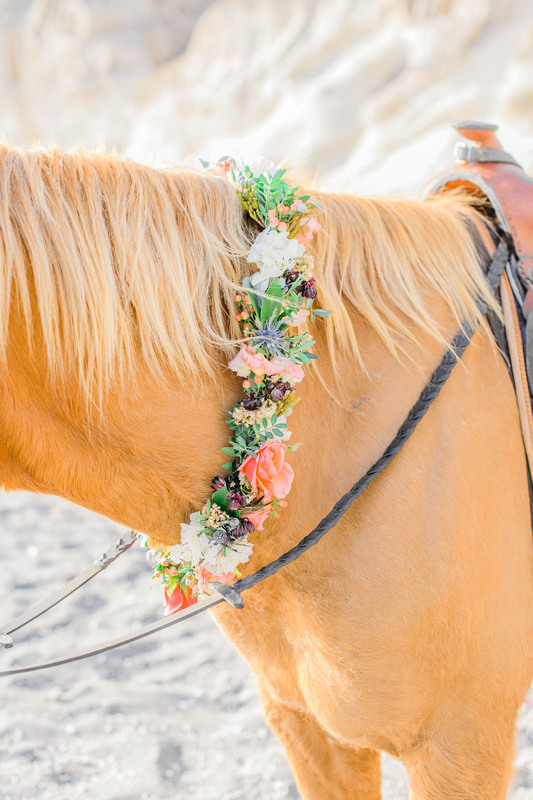 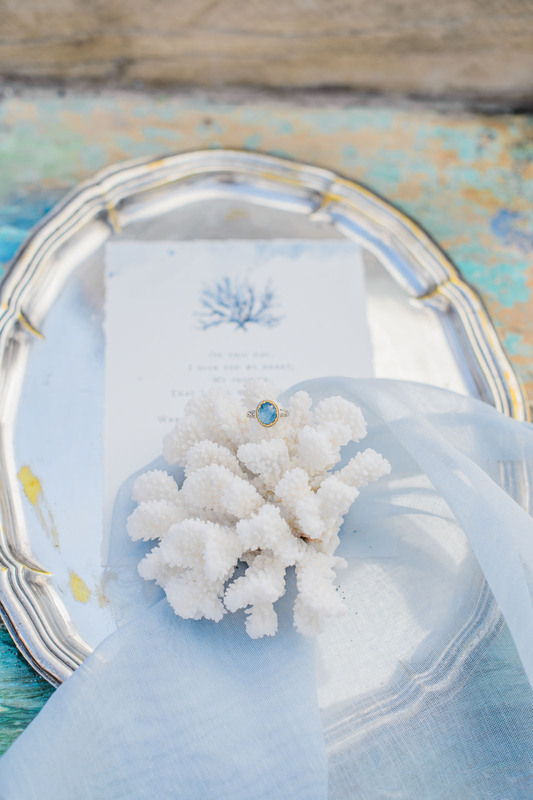 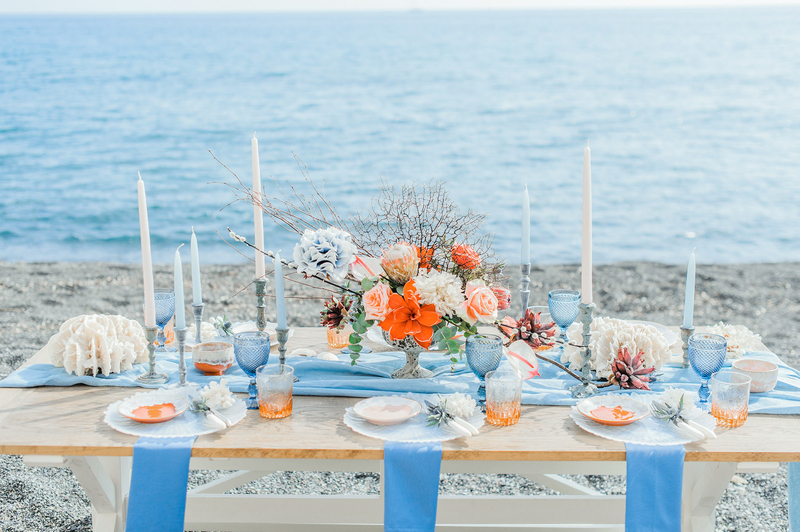 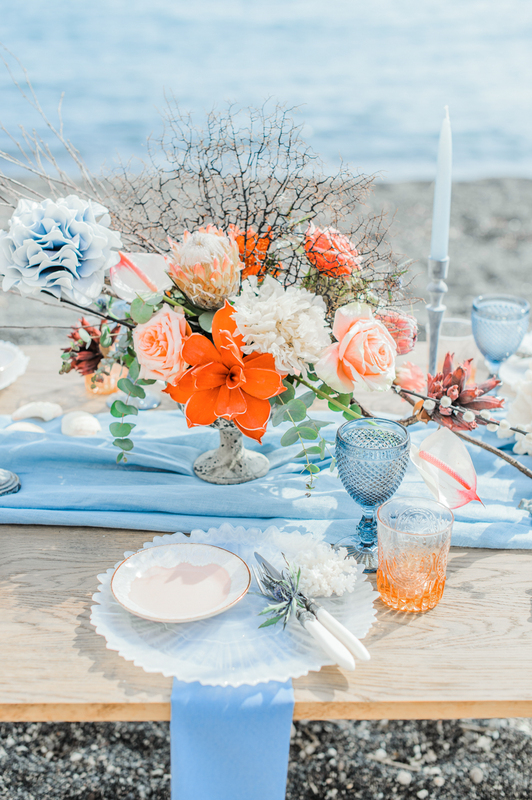 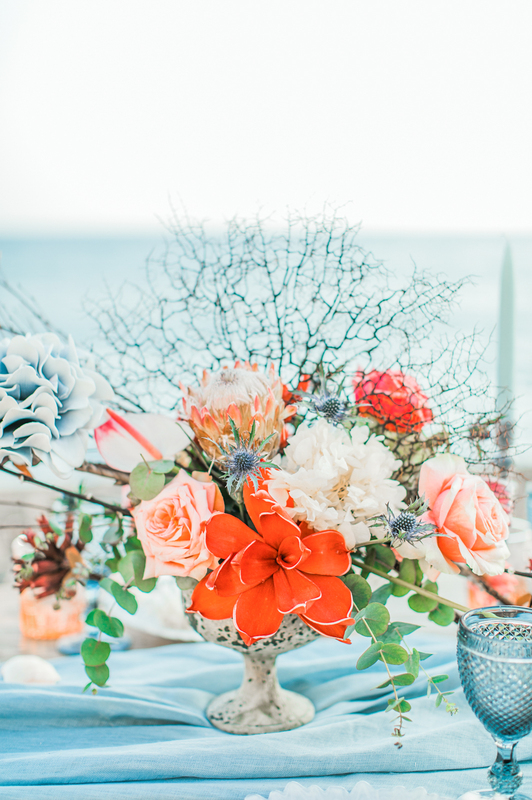 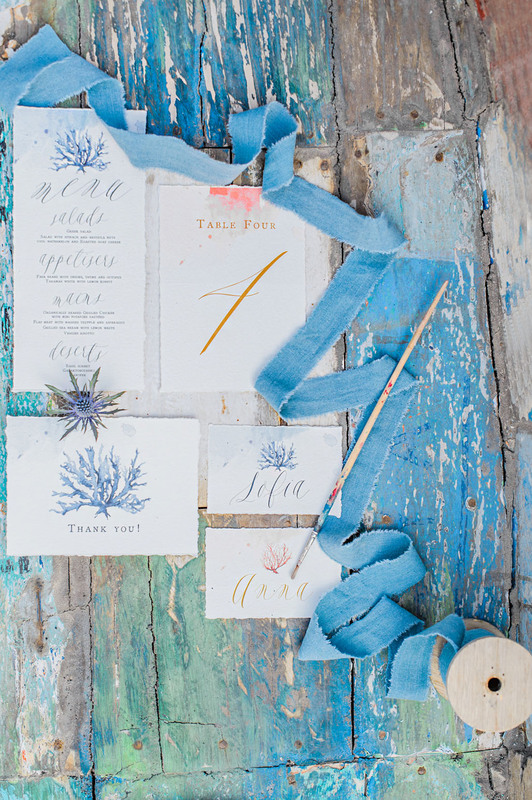 As the wild beauty of the bride and the wild horses flowed together, the white coral art adorned the wedding table and brought the beach and the wedding together seamlessly, evoking feelings of purity and expectant longing. 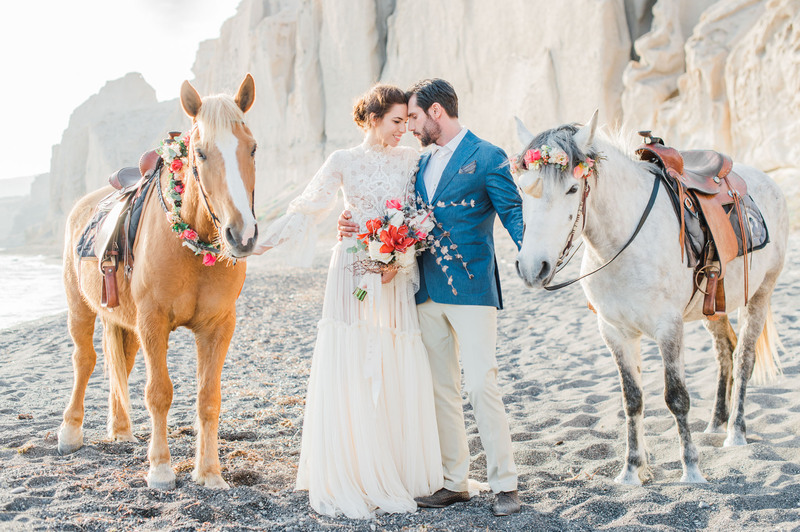 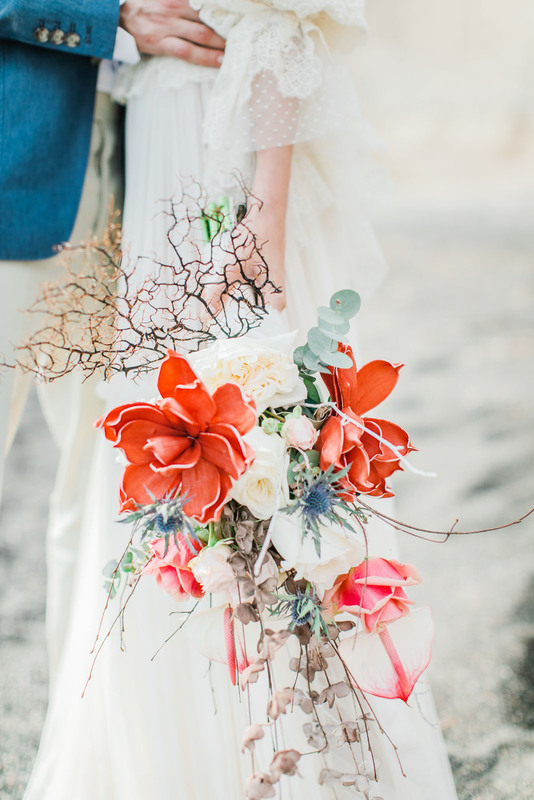 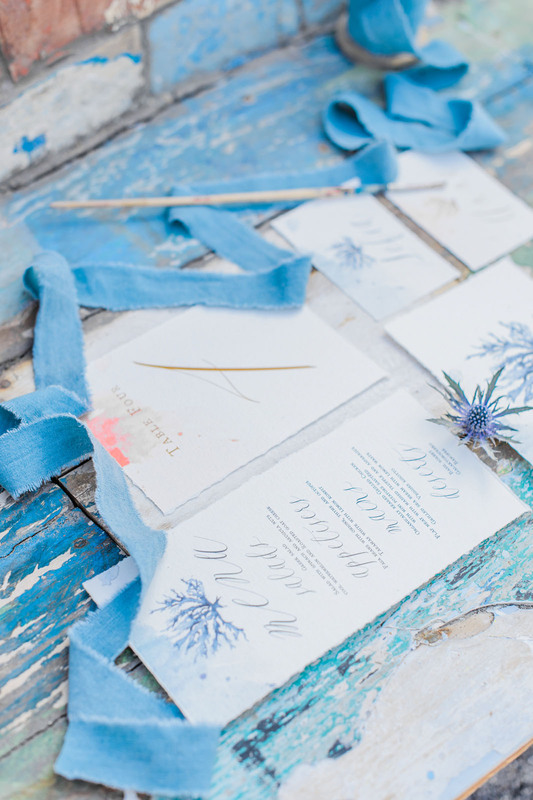 This combination of the wild and the necessary brings elements together to form a wedding of elegance and scenes as natural as a beating heart.